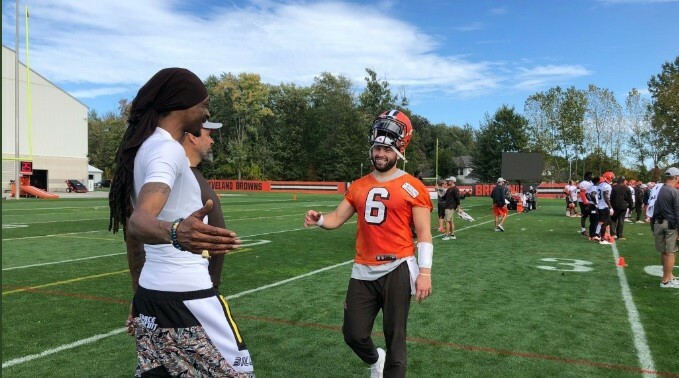 Rapper Snoop Dogg practically took over Cleveland yesterday, visiting TV stations along with a Browns football practice. 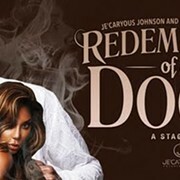 Readying his stage play Redemption of a Dogg, which hits Playhouse Square Oct. 28, and also touting his upcoming cookbook, TV anchors and football players alike seemed thrilled to welcome Martha Stewart's BFF. 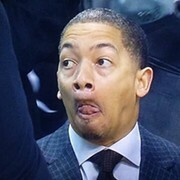 But Browns head coach Hue Jackson wasn't completely ecstatic to have the Dogg, a supposed Steelers fan, in the house. "Snoop, I've known him for quite a while," Jackson said in a press conference. "He's been around some other places I have been. It was good to have him out for a moment. A lot of guys see him on the sideline, and his message was 'Man, you guys are doing some good things, some really good things.' I thought that was great. At the same time, there are going to be a lot of people that want to come be on this wagon when the wagon gets rolling, and we're going to circle the wagon. I know that because I didn't see any of these people the last two years. I'm still the same guy." Although the Browns are tied for last place in the AFC North, this year's energy is entirely different than prior years thanks to two wins and a tie already this season. Hue went on to say that his players are going to continue to work hard, improve and not worry about who's cheering on the sidelines, because at the end of the day, it's about winning. 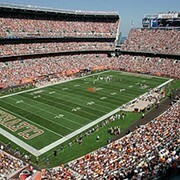 The Browns take on the Chargers at 1 p.m. Sunday.